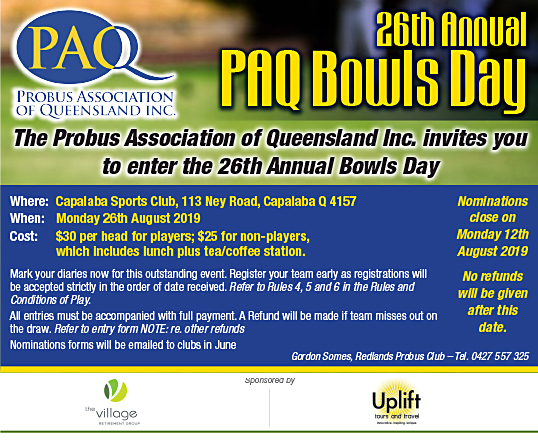 The Probus Association of Queensland Inc. (PAQ) is administered by a group of volunteer Probians. 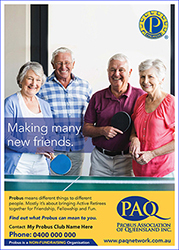 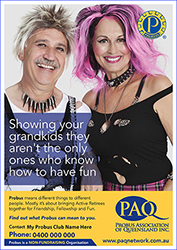 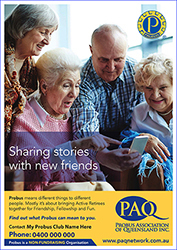 PAQ was formed to help, advise, assist, co-ordinate and initiate activities between Probians and Probus Clubs throughout Queensland, without in any infringing on their autonomy”. 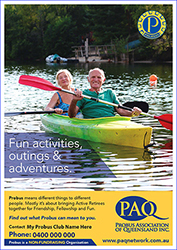 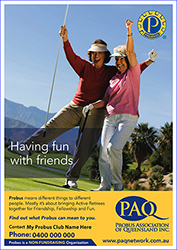 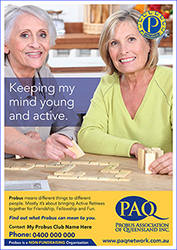 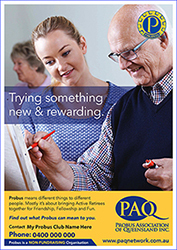 PAQ's focus is : Fun, Friendship, and Fellowship. 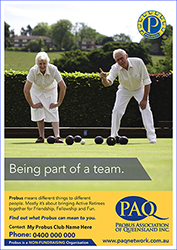 For a list of affiliated clubs in post code order: click here. 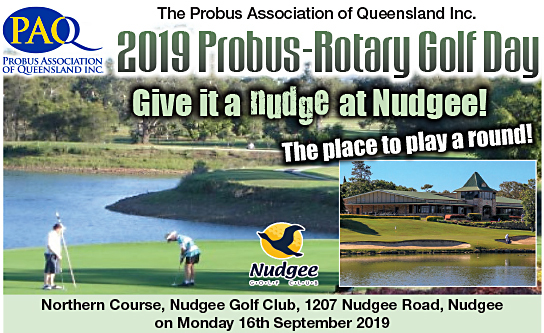 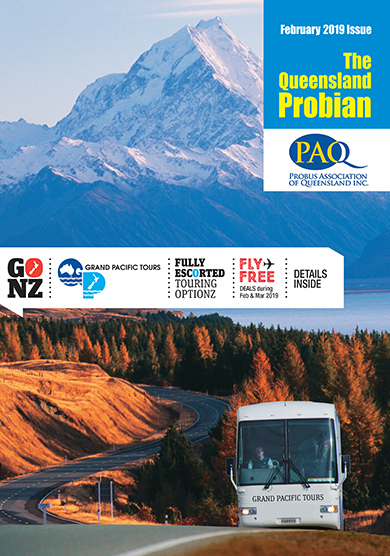 The Probus Association of Queensland is the social arm of Probus in Queensland. 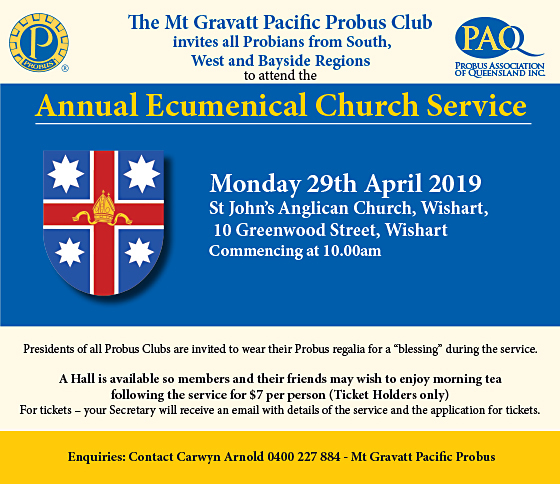 It is NOT involved in the creation of Probus South Pacific Policy. 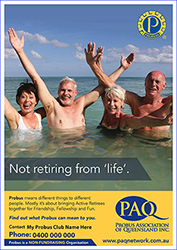 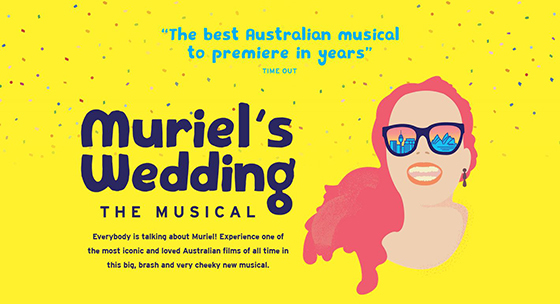 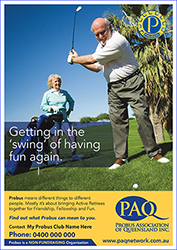 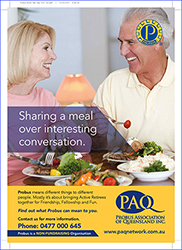 PAQ has produced a series of posters to assist clubs with their membership drives. 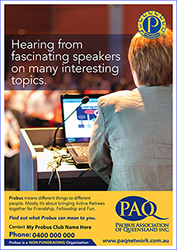 These are availble in the Members Area which requires a login and password. 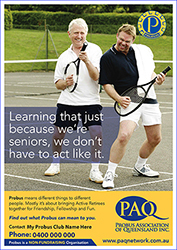 The posters are able to be personalised to your club. 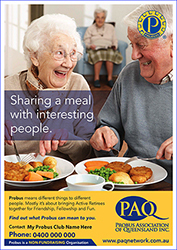 Each PDF allows you to enter a contact name or organisation and a phone number. 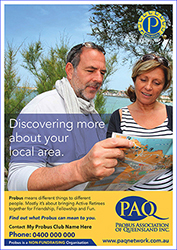 Check them out - they can be printed on A5, A4, A3 or even A2 paper. 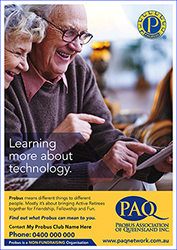 Both of these are downloadable PDFs, simply click on the one you wish to see. 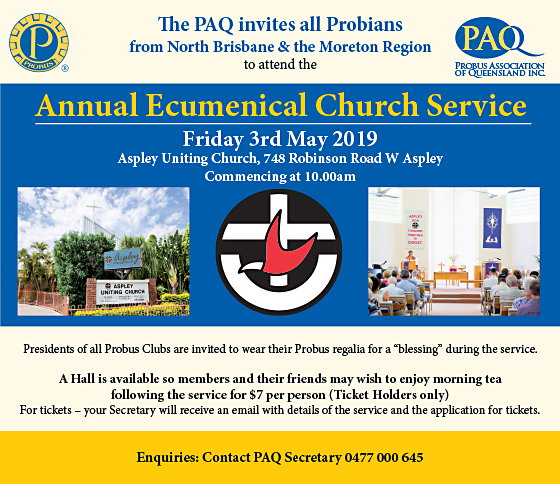 Many clubs are celebrating milestone anniversaries in 2019.